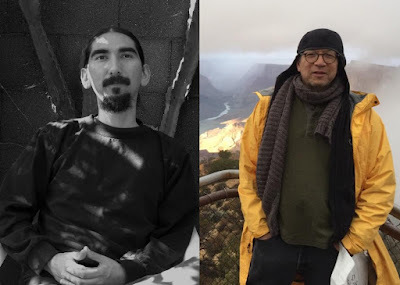 Join us for readings by poet Sesshu Foster and artist Arturo Romo. Winner of two American Book Awards, Foster is the author of Atomik Aztex and World Ball Notebook. He is currently collaborating on a novel, The East Los Angeles Dirigible Air Transport Lines, a History, with Romo, whose collaborative mixed-media works and drawings explore fluency, agency, and folly. These readings are part of a series presented in conjunction with the exhibition storefront: THIS KNOWN WORLD: Spontaneous Particulars of the Poetic Research Bureau. I've perused a few quite recently right stuff here. Surely esteem bookmarking for returning to. I consider the amount of exertion you place to make the kind of incredible instructive site… .You can assist here custom essay writing service for dissertation writing tips.